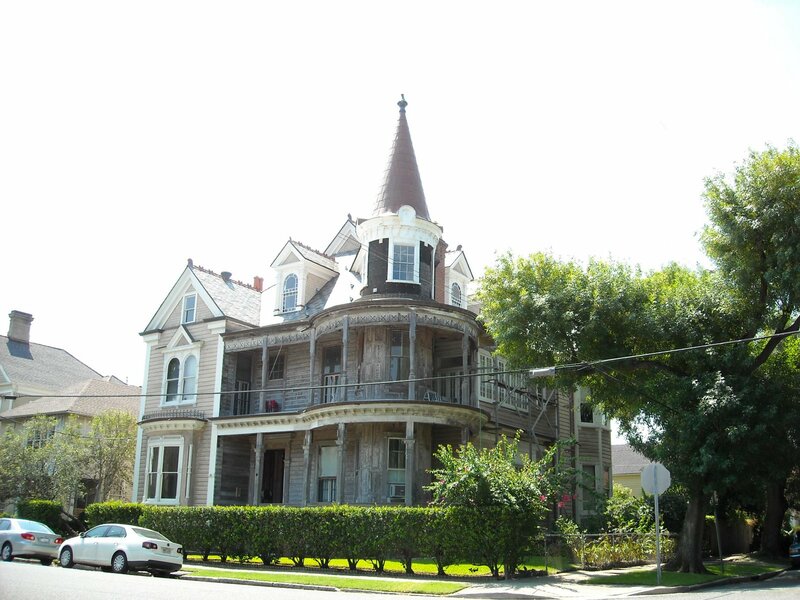 I have dozens of “favorite houses” in New Orleans, but this lovely Victorian is up in the top 3 or 5. It’s at Prytania and Marengo. Our house is on Marengo, so I get to drive by it a lot. The windows in the rounded corner area (I have no architectural vocabulary whatsoever) have curved glass. Some of these windows have the dimples and waviness that let you know they are at least 100 years old and are probably handmade. That’s 4 major hurricanes they’ve survived. The sad story here is that this house has been chopped up inside and is now 4-7 apartments. Hell, It’s probably been made into condos by now. It’s very trendy in New Orleans to sell sets of apartments as condos. It breaks my heart. Then again some people buy those and spend years restoring them to single-family homes. Lets hope this the latter. It’s been in “restoration” for almost two decades now-probably a tax runaround (I hope).